Are you afraid you’ll never find the right partner because you have already gone through a major heartbreak? Let us get to the point right away: you have to uncover the impostor stopping you to find love again! 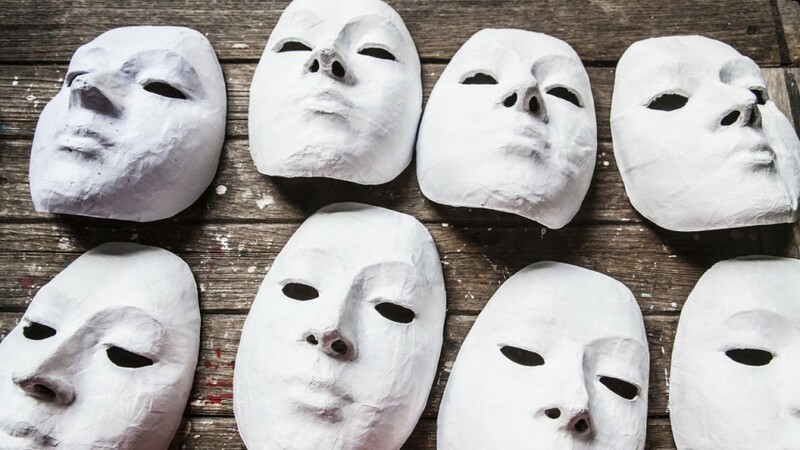 We believe there is one critical factor that often comes in the way of individuals venturing on the “romantic recovery path.” But it is so treacherous, so deceitful, that we like to refer to the phenomenon as the Impostor. This individual is very, very good at what he does and he finds sadistic pleasure in adapting his disguises, simply to deprive folks like us from one of our fundamental birthrights: the right to love and to be loved. So who is that Impostor? Well, he’s a shorty. Just a four letters word: FEAR! But don’t get mislead by his diminutive stature. The fellow has proven time and time again that he can stall anyone who’s not watchful enough. As any great impostor, he uses several covers to achieve his means and deceive us. So let’s look at three of his most famous ones. The Fear of Being or Staying Alone is nothing more than a lack of faith and a lack of confidence. The irony with this one is that people who get deceived by it are seldom alone! They typically jump from one relationship to another without ever questioning why they can’t seem to find a lasting relationship. Yet, from one time to another, they expect different results… Our advice here is simple. Stop compromising. You should never settle because of the FEAR of Being or Staying Alone. This is one of our impostor’s favourite camouflage and one many of us have experienced first hand. Remember when you first went into that new school as a child? Or, when you had just moved to that new neighbourhood? Remember how badly you wanted to “be accepted” by the new kids you just met? And if they never “took you in,” because they said you were too fat or weird looking, the only thought of it probably still hurts years later… Well, many experts say that if you once experienced rejection as a child, you are very likely to try to avoid it at all costs in your adult relationships. Including of course, your love life. It is one of our deepest human fears. FEAR of Rejection victims will just give up, and they would rather stay alone than even try to find a suitable mate. If you feel you fall in that trap, think of this well-known acronym for FEAR: False Evidence Appearing Real. Now this is some serious costume for any impostor and a most effective one for FEAR. Kakorrhaphiophobia is the fear of failure or defeat. The name is derived from the Greek phrase -kakos-, meaning bad and -phobos- meaning fear. In other words it is an intense, irrational fear of failure or defeat. According to many psychologists, individuals dealing with this phobia may fear failure from every angle of their life and should feel that they must constantly show themselves as being better, more in control and extra competent than others. A kakorrhaphiophobic individual might aggressively compete with peers, household members, co-workers and will obsessively seek acknowledgment of their achievements. What triggers the phobia? Specialists agree that a person suffering from Kakorrhaphiophobia has suffered a real-life trauma at some point in their life. Subsequently, when the phobic person confronts any scenario that even remotely reminds them of the trauma, their brain automatically signals a fight or flight reaction. And they run for the bushes… So here’s our recommendation. If you recognized certain of your personal behaviours, we would strongly encourage you to seek counsel from an acknowledged therapist on this issue. It’s important that we all acknowledge and accept this reality: FEAR is an illusion. It morphs, disguises itself into a mirage behind which we often hide to shy away from starting any new blissful relationship. Go ahead. Confront the Impostor in your life. But if you want to “fly away” from it all, do it for the right reasons!